Hello, everyone, here is my most recent MOC which I will be adding to the CCC XII. 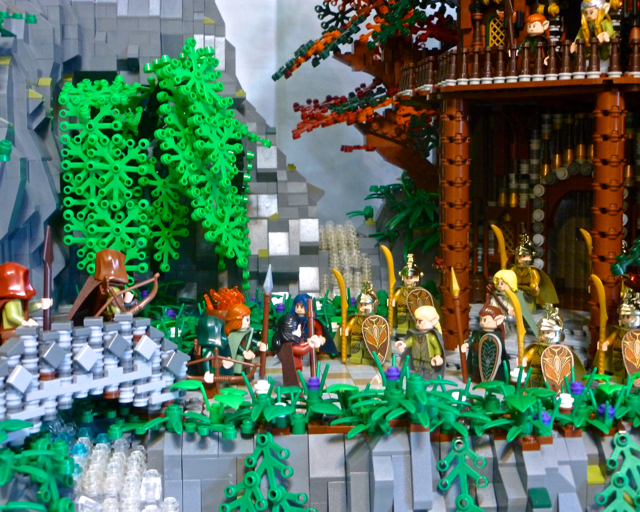 A clan of elves live in a beautiful manor protected by the natural surrounding mountains and cliffs. They are currently being confronted by members of a friendly clan to settle a dispute. More pictures on my Brickshelf page. Goodness, this is beautiful. Loving the colors of the actual manor, and the detail in the "pillars" in particular. Great work. Stuff like this gets me more and more interested in other areas of LEGO. Fantastic - good job on water, plants and rockwork. But the Manor is definitely the highlight. 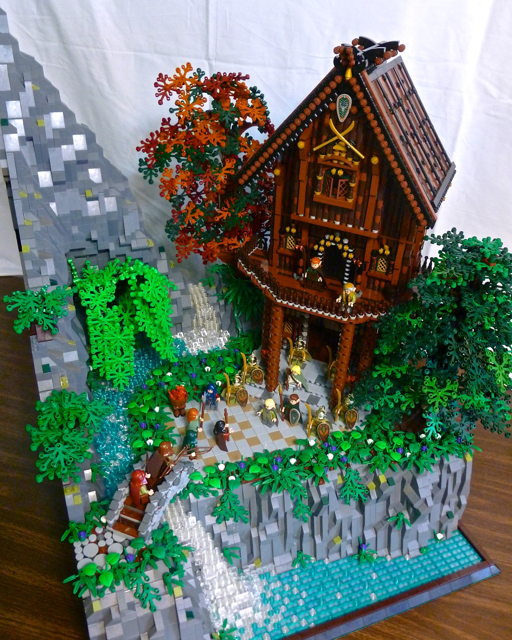 Very detailed, very elvish! The Brickshelf folder is not yet public - I am interested to see some more of the entrance. Looks very detailed too. Thanks you for the compliments! I will upload more pics to Brickshelf soon but right now I only have these five so I am not leaving a link. Wow. The foliage and rocks looks great, waterfall is excellent too. The manor itself is very impressive. I'd love to get a closer look at that front entrance-- it looks very detailed. 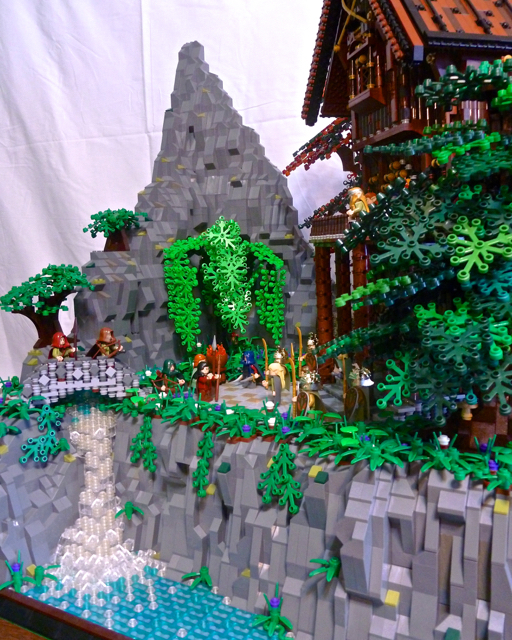 I will try to upload more detailed/close-up pics to brickshelf soon. Greetings everyone! 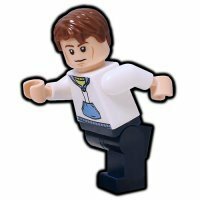 I have finally added more pictures to my Brickshelf page. Very well done, the roof is superb, the waterfall..., and the bridge handrail a little masterpiece in itself. Its built on a high setting - what is hiding underneath? Some dwarves or the wine cellar? 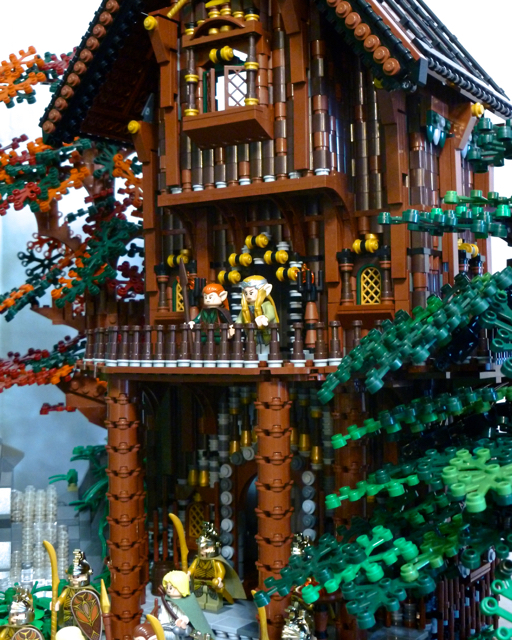 Only the details on the house are stunning and with all this great landscape the MOC is perfectly! Simply stunning. I love everything about this build - especially the manor itself. Makes me want to try something 'wooden'! This is wonderful! 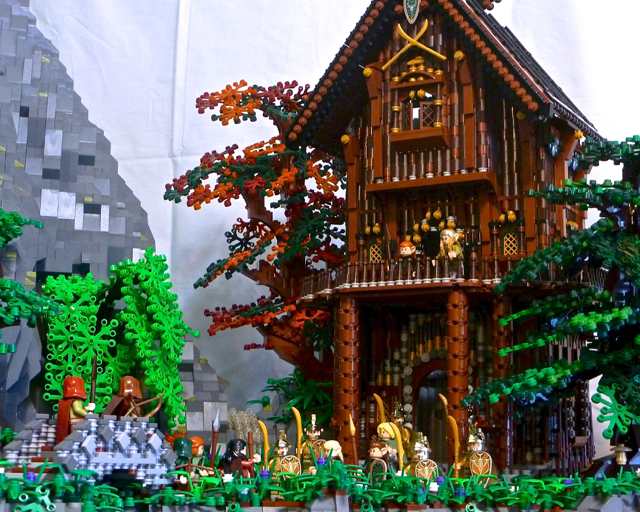 A huge, detailed and skillful build with great presentation and composition. 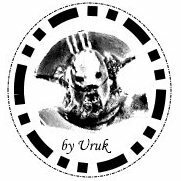 Congratulations on this creation!